One more year is going to say good bye to us. the 2010 gave lot of boost for technology world, with pretty cool upgrades, gadgets and inventions. Here is my pick, best 5 tech happenings which gave great admiration and move for the technology world. No wonder, Android is the champion of 2010. This little kid of Google born in 2008, and became a sensation world wide for smart phone aspirants by 2010. The green mascot, Android robot, is now captures every tech savvy's mind. The Android has captured huge market share on Smart phone sales, and keeping the Apple and Symbian far behind. 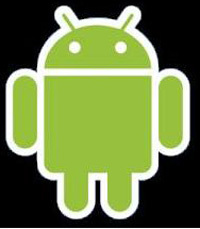 Millions of Android Apps, developed by android community is being downloaded from Android Market. Google's innovative and collaborative marketing and presentation technique made Android just a sensation. Now leading phone makers, such as HTC, Motorola, Samsung and Sony Erricson are making Android phones, and no wonder if Nokia and even Apple releasing an Android phone very soon! because the growth of popularity is just beyond imagination. This stuff is still in development, but very soon will make the traditional computing a story of past. At the end of this year, Cloud computing got another boost by the release of the Chrome OS by Google. Google is now distributing Cloud OS for developers and testers with a Google notebook, often called as a 'Cloud Book'. Cloud computing has been a sensation in Corporate world since last few years. The cloud computing technology literally wiping away the necessity of data centers for all the corporate companies, or in case of end user computing, it eliminates the need of a Hard disk or local storage. The data is stored in the cloud or data centers in remote area over the Internet, and it is secure against data lose and disasters. But still being criticized for lack of privacy and confidentiality. All major IT players are now offering Cloud computing technologies, notably earlier Virtualization providers such as VMWare, Citrix and Mircosoft. 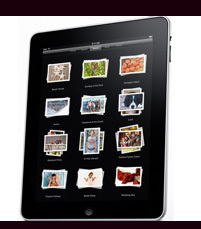 Apple released its much awaited gadget in mid 2010, and the sleek looking Tablet PC called I Pad captured headlines. Following their much popular earlier gadgets, I Pod and I Phone, the new variety became a sensation among gadget freaks. Even though it had a limited release world wide and the cost is comparatively high, people waited at large in queue. I Pad is rich with all the facilities including 3G and WiFi. Following apple, many other companies, notably Samsung, started releasing their Tablet devices. As per media reports, I Pad has 95 per cent of market share for Tablet PCs and 4.19 million gadgets have been sold around the world. I am connected to Facebook is becoming synonymous to I am connected to the Internet! just because Facebook is ubiquitous over the Internet. If you see any website without a Facebook like button or share button, believe!! it is out dated and not keeping Internet standards!!. Facebook has 500 million active citizens, that means the third most populous if it were a nation! and its founder Mark Zuckerberg, became the youngest millionaire in the world. The year 2009 and 2010 witnessed a singnificant growth in the popularity of Facebook, leaving its competitors such as MySpace and Orkut far behind. It is quite unfair to call Twitter a competitor to Facebook, because both are different in its nature and usage, I may say both are moving in a parallel way. Social Networking was once a place for friends for casual discussion and chats, but Facebook redefined it. It is now the best place to market your product or services or to propagate your political or organizational ideologies, simply because it has people in it. You may go to the street and utter laudly, no one may hear you!. Because people are busy in Facebook. Call it a market, a library or a social gathering, Facebook is the new age sensation. Selecting the 5th sensation wasn't very easy. But if fifth is a phone, definitely it goes to HTC Desire. Loaded with powerful Android OS, the Desire became very popular in 2010 worldwide, and It gave a far reach for its manufacturer, Taiwan based HTC Corporation. In appearance, it was resembling Nexus One, but has many differences in build quality and performance. The phone has 1 GHz processor and 5 Mega pixel camera. 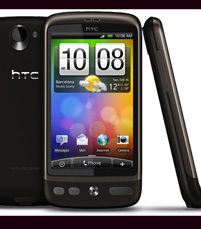 HTC Desire was number one in many Tech magazines mobile phone reiviews, and T3 selected it as the phone of the year 2010. The above top 5 sensations of year 2010 is in my own view. You may disagree, or I might have missed some of the most popular happenings. Just add your thoughts in the comment column, if you agree or have a different view, its welcome!